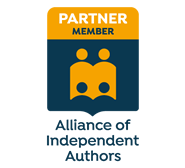 We’d love to discuss your publishing project with you. (You can see some of the work we’ve done here.) Please fill in as much information as you can below and we can take it from there. If your work is a children’s book or poetry, sorry, we can’t take those on at present.